Author: Mohanraj, Mary Anne Set In . 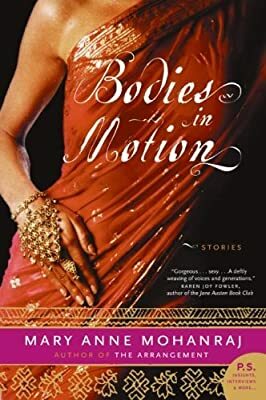 . .
Like the sweet heat of a palate-pleasing curry or the brilliant radiance of bougainvillea, the short stories in Mary Anne Mohanraj's Bodies in Motion will delight the senses and sensibilities. Her tales follow two generations of two families living on the cusp of disparate worlds, America and Sri Lanka -- their lives and ties shaped, strengthened, devastated, and altered by the emigrant-immigrant ebb and flow. Through stunning, effervescent prose, intimate moments are beautifully distilled, revealing the tug-of-war between generations and gender in stories sensual and honest, chronicling love, ambition, and the spiritual and sexual quests of mothers and daughters, fathers and sons.